Clothing brands are one of the fastest growing businesses with start-ups today. Whether you’re starting a passion project or are ready to dip into your savings, this post is for you! Here are some quick tips on the top trending printing techniques being used in the industry today that can help you start your business. One of the relatively newer printing techniques out there is DTG printing. Direct-to-garment has quickly dominated the printing game since it’s fashionably-late arrival in 2005. True to its name, this technique prints ink directly into the fibers of the fabrication, leaving zero detection of ink to the touch. Things to Consider: DTG does run higher in cost for larger batches and is also a slower process compared to traditional screen printing. Still, good news for first-time printers that are looking to experiment! Known for its durable process and inexpensive price tag for bulk orders, screen printing has been one the most reliable go-to printing techniques for industry veterans. It’s simple to produce compared to other techniques, providing a quicker turnaround when needed. Things to Consider: While the process is rather simple, it does involve multiple steps of repetition in order to achieve the desired result, which can sometimes compromise the resolution of the design — depending on the design, of course. One of the industry’s favorite techniques for full color printing is transfer printing. is able to produce high-quality color while handling the most intricate of designs. Things to Consider: Transfer printing does have restrictions as to which fabrications can handle its detailed technique. It’s suggested to avoid using this technique on fabrics sensitive to high temperatures, but it’s great for printers with an illustrator’s touch that are thinking of bringing their artwork to life through apparel. Elevated, professional, and expensive-looking — apparel brands across the board are jumping on board with this unique technique. 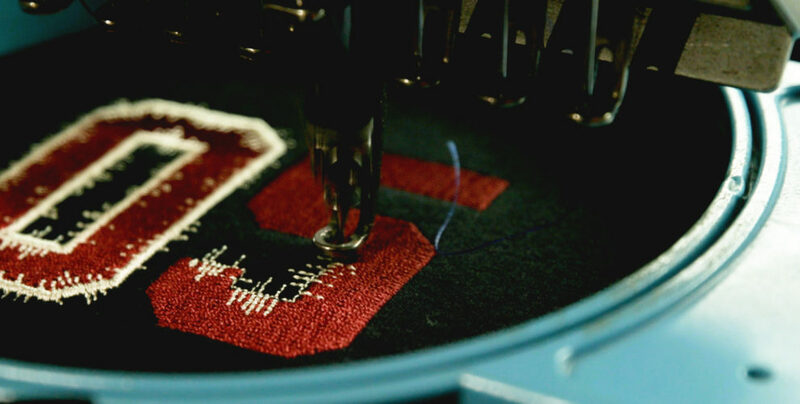 And while embroidery isn’t technically considered “printing”, this technique is very popular and most-commonly used and requested by corporate companies for longer lasting product. Things to Consider: Because this technique requires the intricate stitching of threads, some shading may be lost from the original artwork and smaller details in typography may also be missed. However the risk of this investment, may very well be worth the expensive-looking results. For more on how different printing techniques pair with our popular fabrications, check out the video below!